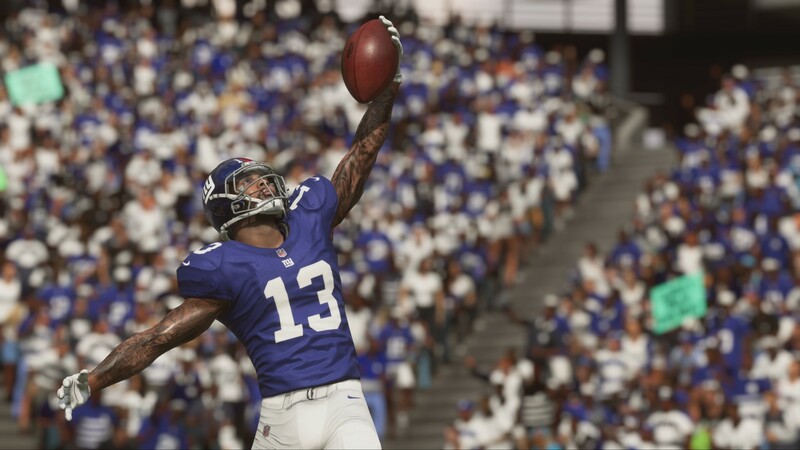 Madden NFL 18 wasn’t a touch up, spit and polish job like many sports-game entries can be, it was a new benchmark in the series, introducing the Frostbite engine and giving us the fantastic Longshot story mode. Gameplay was generally better, and in terms of how it looked it was often indistinguishable than the real thing. 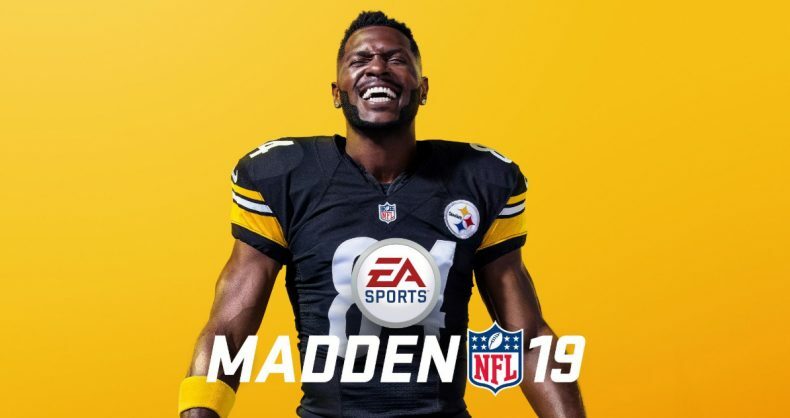 With Madden NFL 19, EA has attempted to build on last year’s beast by offering new features that build on its foundations and help to make in game movement a lot better. Let’s dive right into the gameplay, then. Real Player Motion is the crown jewel of improvements, and within a few minutes of playing it’s blatantly obvious how this has helped to ensure every play you make feel dynamic and important. Based on your player’s statistics, RPM incorporates them into everything. If your wide receiver has received a catch and you’re running out of bounds, you can let go of R2 and sharply change your direction to keep him in play, providing his speed and acceleration allows it. It’s something that was always difficult to evade before, but now it’s something you can avoid. Linking moves when approaching the opponents defence is also more fluid than before. For example, if you’re close to the end zone but have a couple of linebackers charging at you, the ability to blend spins, jukes, and stiff arms can keep you out of their way. Your player stats are vital in every play you make, so it’s a good idea to study your team to know who’s good in every situation, and studying your opposition is also a necessity if you’re on the higher difficulties. Wherever you’re running, be it a passing or a running play, there’s more ways to escape a sack or a loss of yardage – you just need to learn the control additions to get the most out of it. Sometimes there doesn’t appear to be much weight behind the tackle, and taking out players just seems to happen without any real impact. The team has clearly been hard at work making the catching game a lot better. There’s more precision in AI catches, and directional changes are acute and effective when amongst the gaggle of defenders. Passes are also improved as well as general movement, giving you the best experience to date in any Madden game. 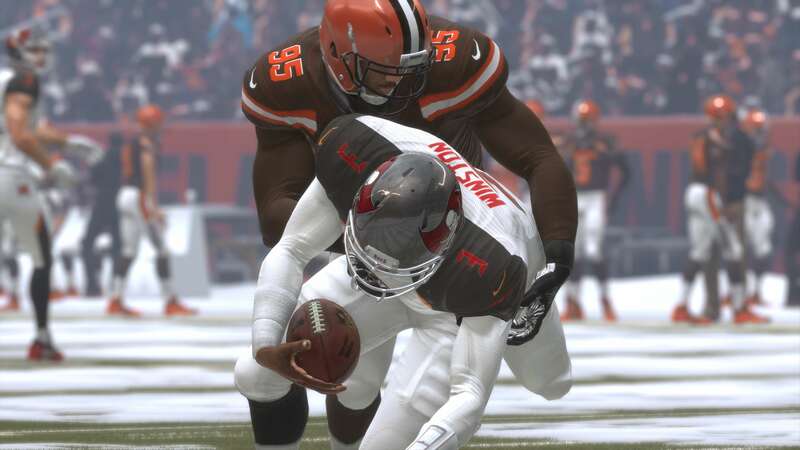 One of the main issues, however, is the animations of some of the players on the tackle. Sometimes when launching into the carrier your player will fall awkwardly and unrealistically, as will the wide receiver or running back. I had the occasional ball floating above the hands and arm moving through the body like a ghost and it had a tendency to take you out of the game a bit, but more often that not it suffered rarely from major issues. Speaking of animations, you can now select different celebrations after a touchdown, and it’s always fun getting that opportunity to strut proudly and slightly arrogantly in the end zone with team mates or alone. The game looks incredible, from the detail on the field or the titantrons in the backgrounds (especially the wonderful Gillette Stadium of the Patriots), and even the crowds move more realistically than before. Another issue many have had with previous Madden titles is the commentary, but the humour and rapport between Brandon Gaudin and Charles Davis seems to have come on a lot more, and the half time analysis from ESPN’s Jonathan Coachman is a nice addition. Elsewhere, Franchise mode still feels similar to previous years, although the levelling up process works much better than before, opting for Skill Points to make player progression build up the overall performance than specific stat lines. There are various Archetypes per position, and you can now add skill points to those instead of building one specific stat line. It helps to build up your players with a more rounded approach and makes it less tedious. You also have the new Scheme Fits feature to help your team become more in sync with one and other and perform better on the field. You can choose from a selection of offensive and defensive schemes, and when it comes to trading, it gives you more focus to help build your team within the schemes you select. Another big addition is the custom draft class, and when scouting starts in Week 3, you can now download custom draft classes via Madden Share to add more variety when the draft rolls around. Ultimate Team doesn’t see a lot of massive changes, but the addition of including games against the computer in the 3v3 mode is a welcoming one, as is the Solo Battles mode. For those that spend lots of time with MUT you may be more familiar with the changes, but apart from these, I didn’t notice a lot. Finally, the surprisingly well written addition of last year’s Longshot sees its sequel with Longshot: Homecoming. Whilst it has the same great acting, it just doesn’t quite live up to its predecessor. There were a lot of different challenges whilst playing in the original, but in Homecoming it just seems to be practice matches, college football, and the same repetitive “score a touchdown on this play,” or “do what the coach says on this play or you fail.” Devin Wade is struggling with his first year in the NFL, and Colt Cruise is finding life hard outside of professional football, playing guitar in rundown clubs and finding it hard to make ends meet. I have a soft spot for Cruise, and I found his story to be the most engaging, especially as he tries to bond with a step sister he never knew he had. There are some teary moments along the way, and you often forget this is an EA Sports title. Wade’s story isn’t nearly as engaging, and the constant repetition of the practice plays where you need to prove yourself becomes tiresome. 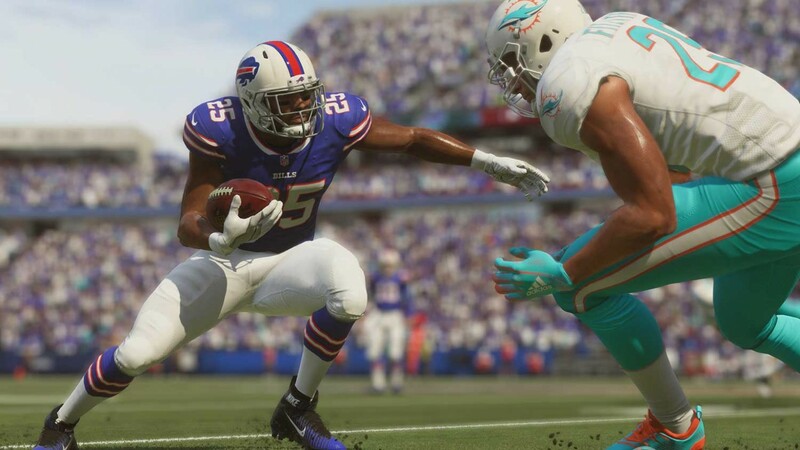 Madden NFL 19 is about refining player movement and creating the nuances between plays, positional changes, and creating unique moments between the end zones. It does it often, and no two matches ever feel the same. The presentation is excellent, and it is by far the most immersive entry to date, but Longshot: Homecoming doesn’t quite hit the heights of last year. There are some framerate issues in the story mode as well (on an Xbox One S), and even in some of the games there’s juddering, namely in the odd angles during replays, but that doesn’t take away from how much I enjoy playing it. Whilst the gameplay is drastically improved to give the best Football yet, some technical issues in the story mode, along with repetitive practice scenarios mar the overall experience.